When the West Lynn Garden Centre sought to add a function room to its extensive grounds, Lockwood was the obvious choice owing to the robustness of the building system, the quality of the finish and the durability of solid wood. 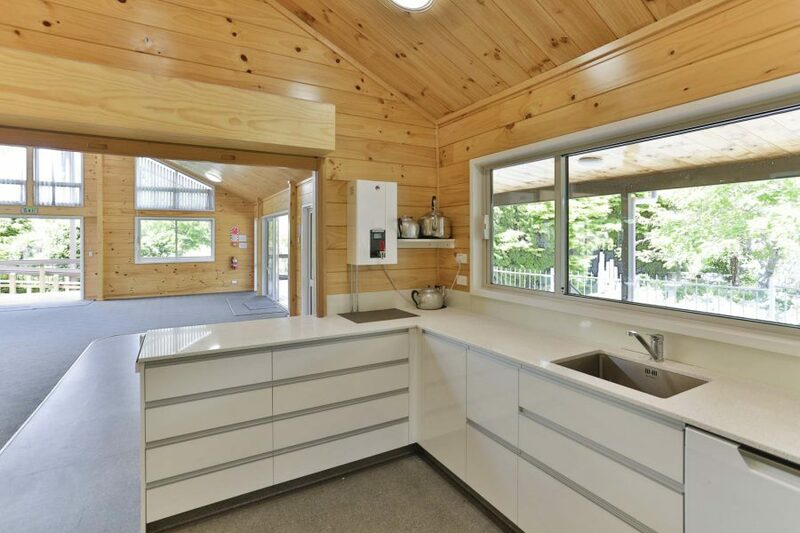 Given the beautiful natural setting, Lockwood’s distinctive timber finish goes a step further, perfectly complementing the verdant setting of Auckland’s hidden jewel. The West Lynn Garden and Butterfly House offers 2.5 hectares of garden, paths, gazebos, picnic areas, mature trees and the Monarch Butterfly House. The venue is run by the West Lynn Garden Society members, a team of volunteers committed to the creation and maintenance of this unique environment. When they identified the opportunity for a function venue to enhance the appeal of the Centre , the next step was finding an appropriate building type. Lockwood stood out as a natural choice, with its low-maintenance design and natural finishes perfectly complementing the garden setting. A fundraising effort secured the necessary resources to commence construction of a function centre of around 180 square metres. The delivered building is complete with bathrooms, kitchen facilities, storeroom, a private meeting room and a main community room of some 95 square metres. 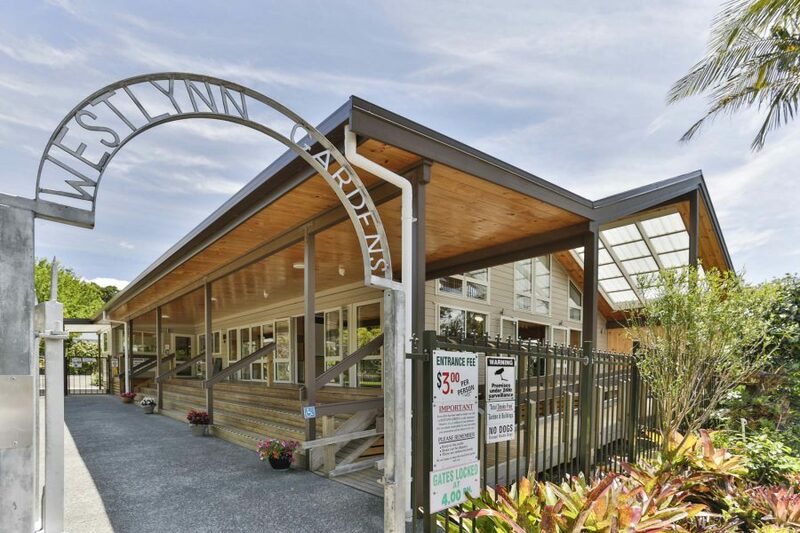 Suitable for weddings, seminars and other group activities, the function room has played host to innumerable gatherings over the years, adding a welcome dimension (and income earning facility) to the attractions at West Lynn Garden Centre. Even with the heavy usage, the building still looks pristine and is durable, hard-wearing and built to last. 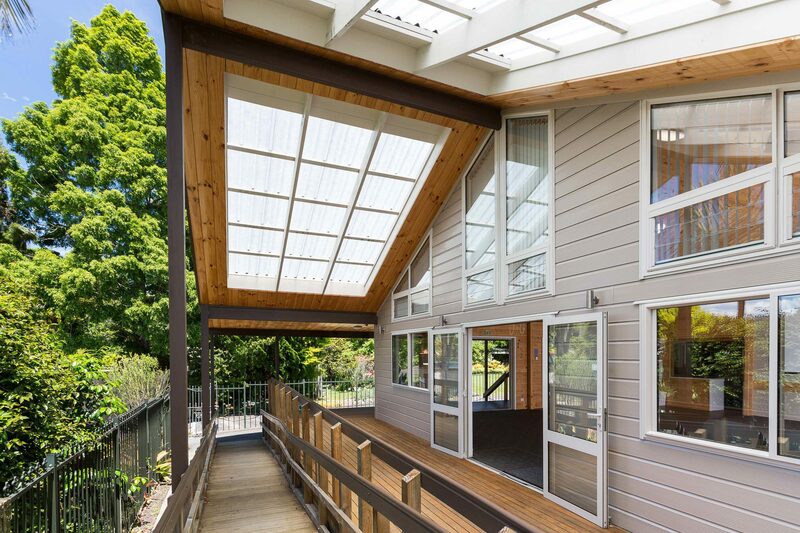 Highlights of the building include extended eaves to provide covered decking on two boundaries, with the warm Lockwood natural timber finish to the ceilings providing a seamless segue from the exterior to interior. 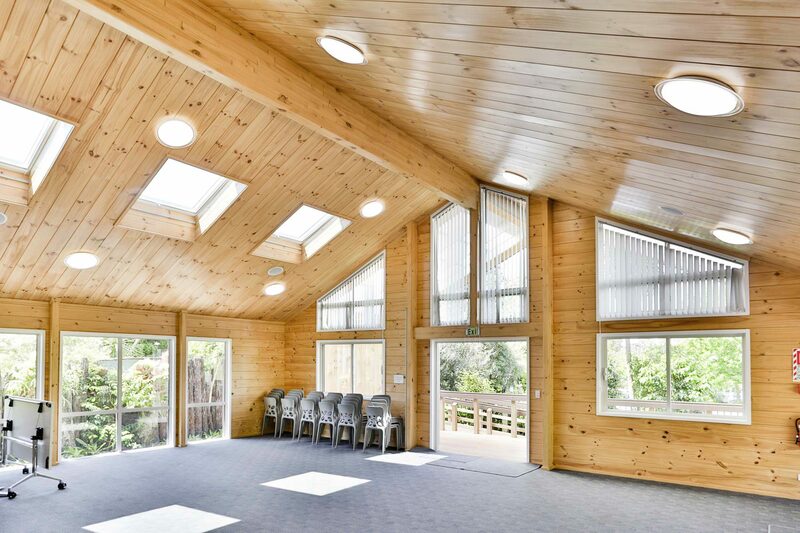 The natural timber walls and sarked ceilings of the interior further add to the country feel of the function centre, while the signature vaulted ceiling and high clerestory windows on the gabled end of the building let in natural light. The function centre was also designed with accessibility in mind, with built-in ramps for wheelchairs, and accessible facilities for ease of use for all visitors. The client is delighted with the Lockwood design and construction – it fits perfectly in the garden environment and the low maintenance aspect, requiring little more than an occasional washdown, is vital as it is run by volunteers. Capable of seating 80 comfortably, with the option to accommodate up to 100 when using the undercover decking area, the Garden Centre’s function room has an extensive audio-visual set-up with four ceiling mounted speakers and wireless dual microphone system. 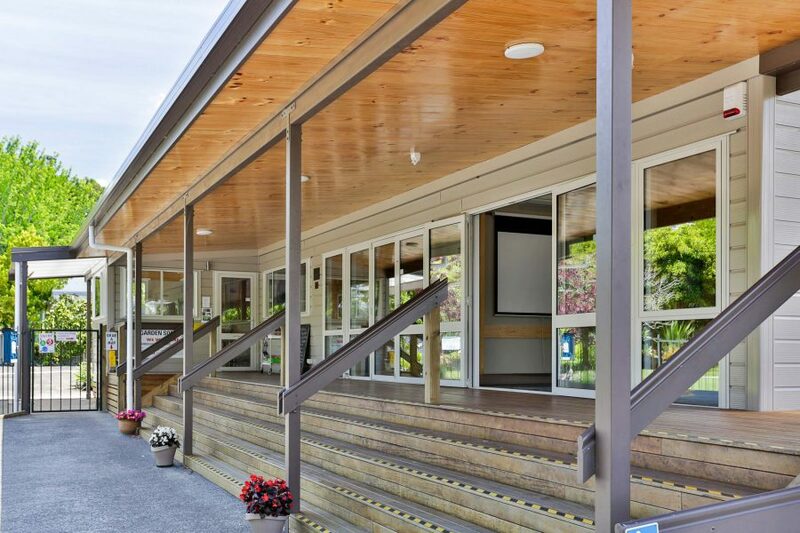 Both function rooms are completed with heat pumps, wi-fi and café style tables and seating. Many years after delivery, the function room looks as good as the day it was built. More than that, the function room has become part of the fond memories of many thousands of people who have enjoyed the events which have taken place within its walls.